The Wenatchee Valley offers a plethora of Nordic skiing options for all skill and fitness levels. But for those times when we feel like taking a break from our Central Washington lifestyles (or when we’re headed to Seattle), there are great skiing options on the way to Snoqualmie Pass. Furthermore, if you’re making the trek to Seattle, breaking up the drive halfway with a little play is a carrot that van turn the drudgery of a drive into something you look forward to. Attractions. From Ellensburg XC Ski Club: Hyak Snopark is reserved for non-motorized use and is the most heavily used non-motorized snopark in WA State. It includes a sledding hill which attracts hoards of snow-starved west siders and their kids. It is one of the few snoparks where one can buy a snopark sticker at an attendant’s booth at the entrance. Heated restrooms with running water are another unusual feature. The John Wayne Trail (the old Milwaukee Road railroad grade) which runs right past the Sno-Park is groomed for track skiing and skating and offers about 13 kilometers of very enjoyable flat cruising along Keechellus Lake. Access. Take I-90 West to Exit 54. Turn left at off-ramp to the intersection. Turn left, go about 1/8 mile and turn right. 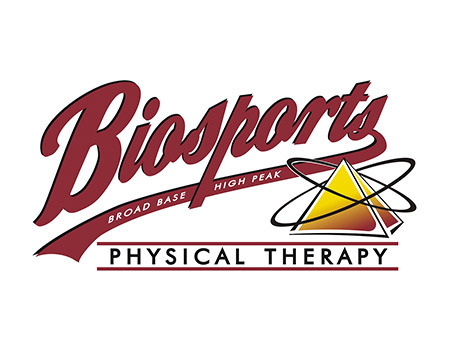 Sno-Park is on first right. Open 8 am to 4:30 pm. Trip Instructions. View Map below for detailed trail information and view trail specifications here. 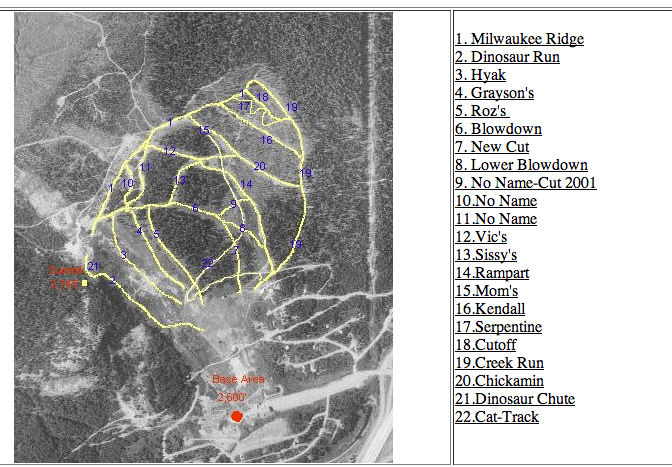 Also check this sno-park overview map (second map). .
FEES: A grooming sticker ($40 for the season) in addition to the regular Sno-Park permit is required. 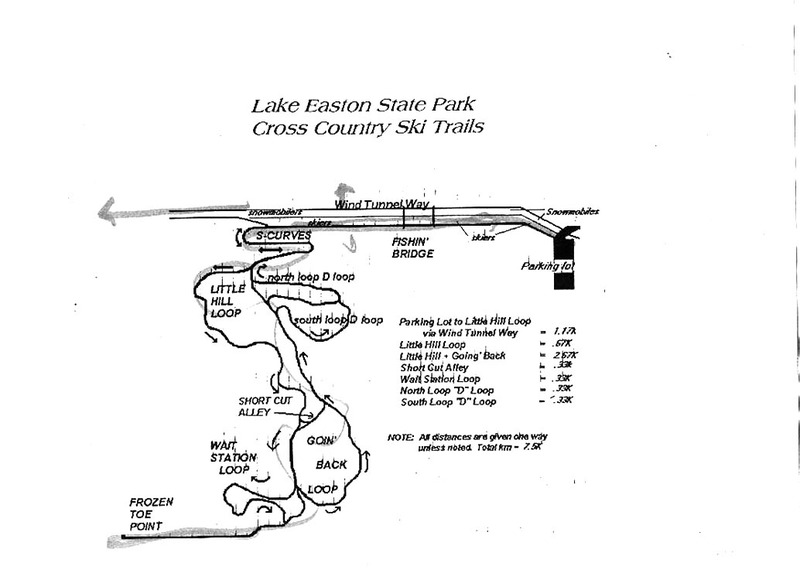 CONTACT: Lake Easton State Park (509) 656-2230. Attractions. 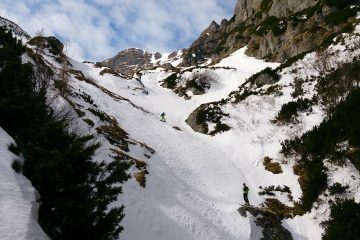 25 trails to choose from, ranging from easy to advanced. 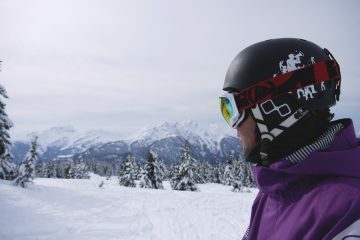 Mountain views, rentals, shuttle, food, and lift all in one area. Access. Take I-90 West to exit 54 for Summit East at Hyak and The Summit Nordic Center, and the Silver Fir Outpost. Address: 490 Hyak Drive. Trip Instructions. View this map NordicTrailMap11_12 or this map nordic_2011_map for details on levels and locations of each trail (map 2). Attractions. 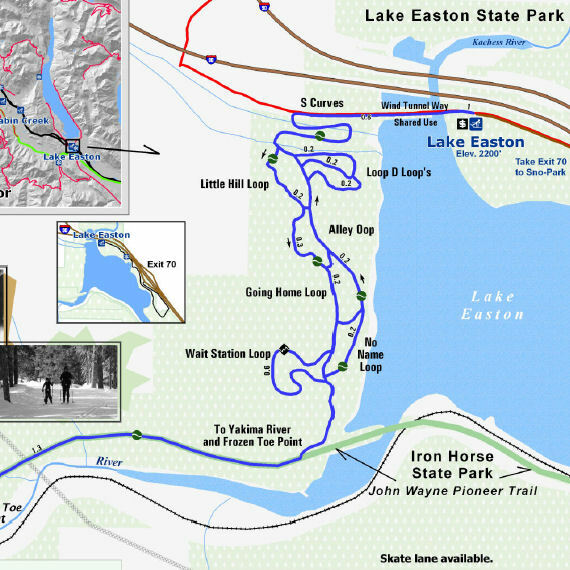 Lake Easton State Park is a forested, 516-acre year-round camping park with 24,000 feet of freshwater access on the shores of Lake Easton in the Cascade Mountain foothills. 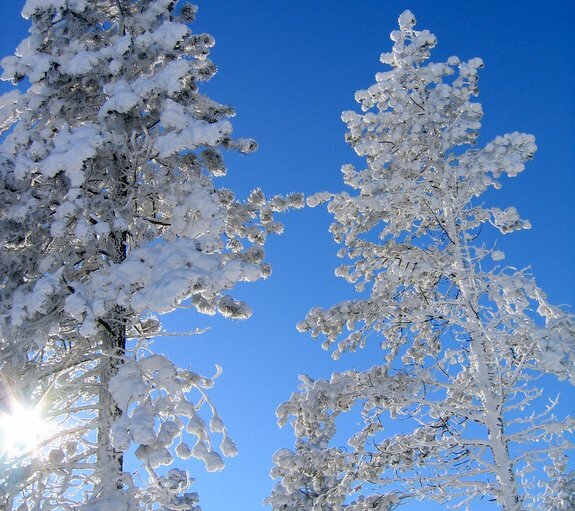 The park has beautiful mountain views and hiking trails to explore in the summer and cross country and snowmobiling trails to enjoy in the winter. The park’s location also allows for winter-sport opportunities. Trails are groomed three times a week. Access. Take I-90 West to Exit 70 toward Lake Easton. Turn left onto Railroad St.Turn right onto Lake Easton Rd. Continue onto Lake Easton State Park Rd into the park. 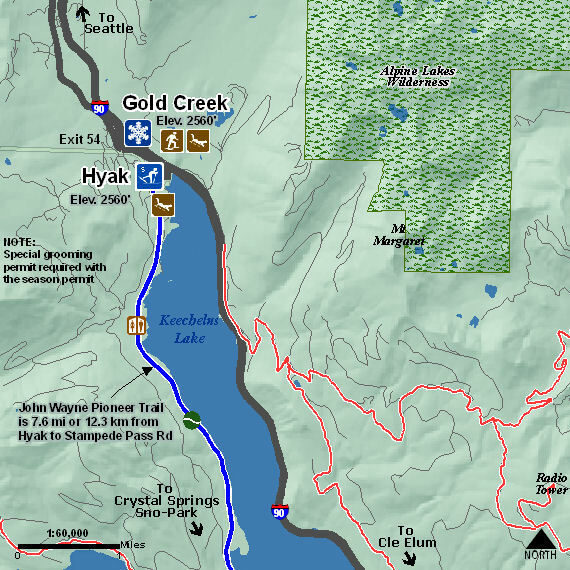 Physical Address: 150 Lake Easton State Park Road, Easton, WA 98925. Attractions: Noted as the “most popular” of the Interstate 90 sno-parks, with 11 different trails for various abilities. The varied terrain and excellently groomed trails guarantee endless fun, challenge, and exercise. Backcountry skiers should keep this area in mind when the avalanche danger on the surrounding hills renders them unsafe for telemarking. Cabin Creek Nordic Ski Area is a joint venture by the Kongsberger Ski Club and Washington State Sno-Parks. Access. Take Hwy 97 South to Hwy 970 W. From 970-W, continue onto 10-W and turn left twice to stay on 10-W/970-W. Merge 90-W to Seattle and take Exit 63 to U-Fish Road. Turn right onto U-Fish Road, follow slight right to NF-4822 and stay on until park. Trip Instructions. View this map CabinCreekNordic for details and locations of each trail.